the left column appear two different language's inboxes and two outboxes. Is there anyway to remove the English one? I've been trying to removed inbox.dbx, and nothing changed. You should delete all dbx files and import emails again while OE i in japanese language. 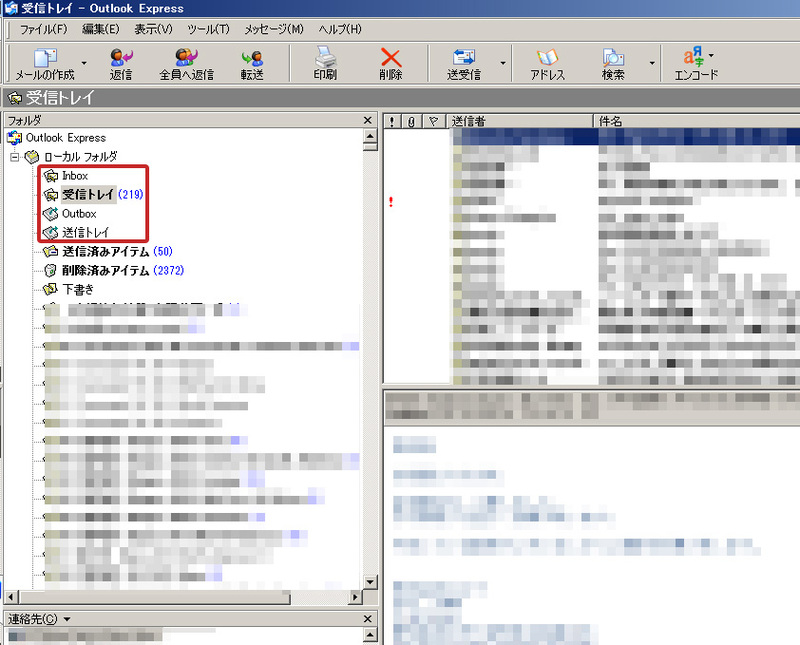 I was installed Japanese OE and Imported mails from another Japanese OE. I have no idea why those English folders appeared. Through your Tips, I find a way to reset the folder problem. Close OE and Just remove the folders.dbx, inbox.dbx and outbox.dbx(folders caused problem) then reopen it. OE will automatically detects all dbx files and rebuilds folders.dbx.